Our first known direct ancestor was John Killough. He came from the island of South Uist in the Outer Hebrides of Scotland. Circa 1580 or 1590 he was with a unit of mounted Scots mercenaries in France. His son John II, known as John of Drogheda, joined a regiment of heavy horse in Ulster and in 1649 served with Cromwell's New Model Army. By about 1660, John II and his wife Mary (Hyde) Killough, with son John III settled in County Antrim, Northern Ireland. John III married Anne McNeil and they had three sons, Robert (b. 1681), John IV (b. 1689), and James (b. 1692). Son James stayed in County Antrim, and Robert and John IV came to America. Robert with wife Margaret (Finley) Killough and their sons Allen, Finley and John, and John IV with wife Jean (Young) Killough, came in the ship "William" from County Antrim, Northern Ireland to Boston in 1718. From Boston they journeyed to Freetown (now Assonet), Mass., near Worcester. The English Congregationalist living there did not welcome the influx of Scots Presbyterians. John IV however, determined to make the best of the situation decided to stay, and his sons Samuel and John were born there. After a few years John IV joined fellow Presbyterians on the migration to Pennsylvania where they were to find a better sort of religious toleration. Robert and Margaret had another son David probably born at Worcester, but they soon moved to Portsmouth, N.H. where he set up a fish oil factory. When this burned Robert and his family also went south to Pennsylvania. Only their son Finley stayed in New England, a first settler in the Upper Settlement of St. Georges (now Warren), Maine. Finley was only about 14 when his first child David was born in 1725. This may explain why he came north in 1735 with his parents-in-law who settled across the St. George's River. His wife Mary Young was 11 years his senior. 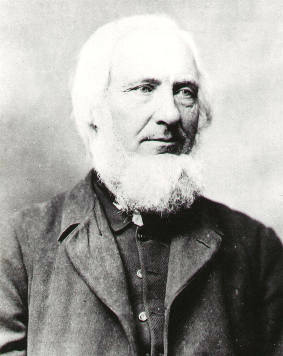 For several generations none of the Maine Kellochs named their children after Finley's father, Robert, making it likely a family dispute was associated with this move. Of Finley and Mary's children, John and Matthew settled in what is now the town of St. George, Maine, David and Alexander in what is now Warren, Maine, Margaret Boyd in Boothbay, Maine and Mary Brown perhaps in Boston, Mass. In 1743 when Samuel Waldo gave a deed to "Finlo Kellough" for 90 acres of land on the St. Georges River. In 1762 when Finley's estate was settled, the name was given as "Findley Kelly (or Kellock)". His children however at once began to use the name "Kelloch" and this name uniformly runs through their Army and Navy records of the French and Indian war, the Revolution, and War of 1812, and all land conveyances down to around the year 1805. Then we diversified. Witness the old St. George Cemetery where in a radius of 30 feet you can find it spelled Kelloch, Kallock, Kalloch, Keller and Kellar. Gravestones for husbands and wives spell it differently side by side in St. George and West Rockport. In Warren Benjamin's stone reads Kellar while a monument in his memory nearby spells it Kalloch. Why? Illiteracy, family disputes, whimsy? We don't know. Spell it as you like! The Reunion spells it Kalloch probably out of esteem bordering on reverence for our first Family Reunion Association president, Rev. Joseph Kalloch. We believe that our Reunion is the oldest in America. When Eliza Butler came home from Indiana for a visit in 1866 her family gathered several times. At one gathering it was suggested that it would be good to gather all the Kalloch clans on a regular basis, among them our founding twins, Nancy Wall and Rev. Joseph Kalloch. The first Reunion was held 6/23/1867. Our 150th annual Kalloch Family Reunion was held on August 19, 2017 in Rockland, Maine. Our next reunion, the 151st, will be held on the third Saturday of August 2018. Portions of the above text are from: Research done by Kalloch historian, Dean Mayhew. Introducing the Kalloch Family, by Peter T. Richardson, 1992. Tartan at the left side of framed pages is the "Modern MacDonald Tartan" from the Clan Donald-USA website (used with permission). 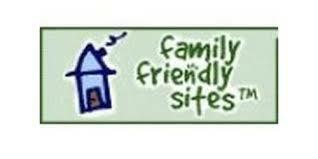 This site is labeled "Child Friendly" with ICRA, SafeSurf, and we have taken the Pro-Ethics Pledge of the International Webmaster's Association. This site is dedicate to my children and all of our children. For more information about this site visit our "About this Website" page. Copyright ©2019 Kalloch Family Reunion Association. All Rights Reserved.